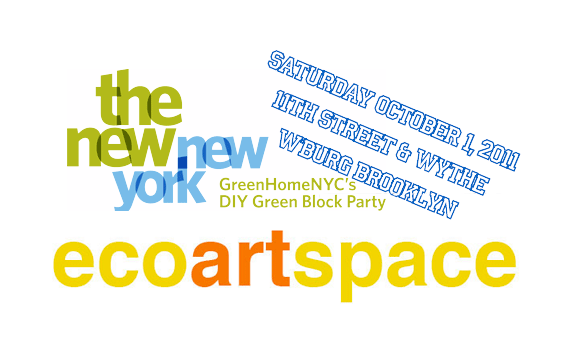 Saturday, October 1st ecoartspace had a booth at the annual GreenHomeNYC DIY Green Block Party in Brooklyn. This is something that we rarely do anymore, not that we don't want to, there is just only so much you can do. We presented prints, books and artworks, and had many interested buyers for our political posters by JustSeeds:Resourced series. Although, the rain came in the early afternoon, so we called it a day early. The biggest draw was Tattfoo Tan and his hen called 5p.m., one of 5 chickens he currently has at his home on Staten Island. It was amazing how many people were stopped in their tracks having realized that they were in the presence of a chicken! Grown men who remembered having cared for hens when they were boys were drawn in and reliving their childhood. Children were cautiously curious and their parents intrigued with the idea of urban chicken farming. Tattfoo was on hand to give advice on the logistics of having chickens within the city limits. 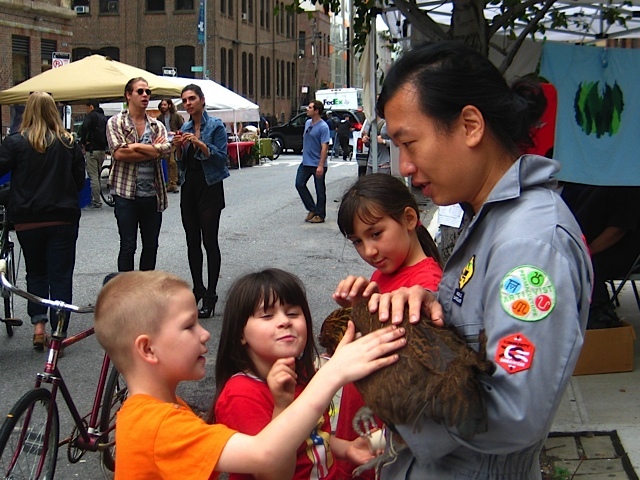 The most common question all day was "is it legal to have chickens in the city." The answer: Yes. But, only hens, not roosters (for obvious reasons, they are too noisy). 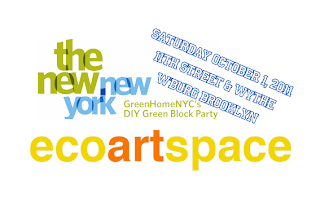 It would be great to do more events like this to share the work of ecological artists at green events. However, this is where we need help, to identify funding for creative education programs! It is important to pay artists for their time.